As we are approaching the end of our current RhiNo demand reduction campaign, Nature Need More would like to provide an update and an insight in to our plans for 2018. The current demand reduction campaign, will be the last one run under the Breaking The Brand (BTB) project. The BTB project has now become part of Nature Needs More. 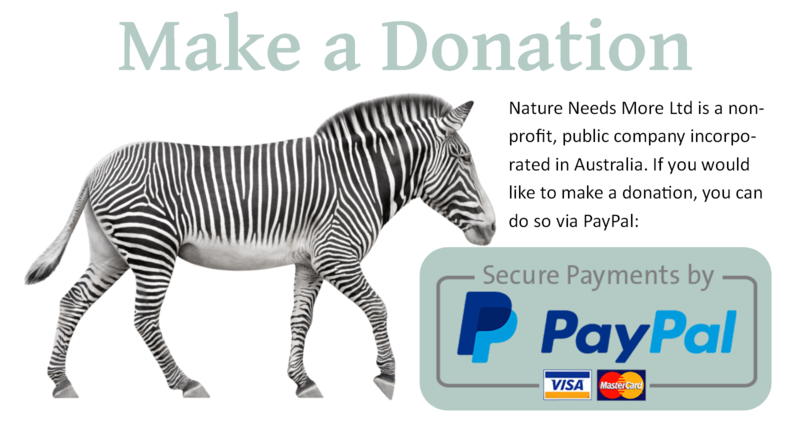 Nature Needs More Ltd (NNM) has been incorporated as a non-profit, public company in Australia and we have applied for registration as a charity in Australia. Demand reduction campaigns are a key pillar of NNM; it is our objective to be able to scale these campaigns up in 2018 and also to roll them out more broadly; our focus will continue to be rhino horn demand reduction campaigns. We would like to thank all of our supporters and donors who have made this possible. We started with a small campaign in 2014 and thanks to your ongoing support and donations we have been able to ramp up both the duration and frequency of the ads. Following is a summary of the current campaign, which is still running in Viet Nam, and our 2018 campaign plans. As you may remember, this current campaign is our largest ever. With your support we raised over USD $100K. The adverts were launched on the 7th August and have been published every week, in two or three magazines concurrently, since the start of the campaign. 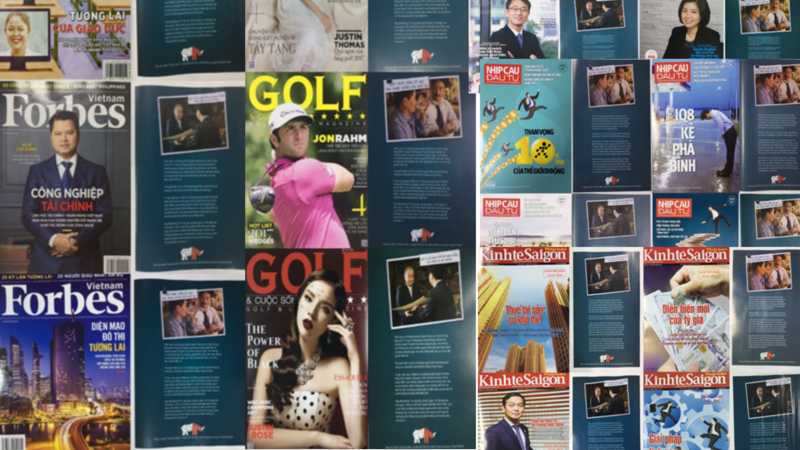 All the adverts are full page and we chose to publish in 6 business and lifestyle magazines (5 Vietnamese language, 1 English language) read by our target group, elite males. 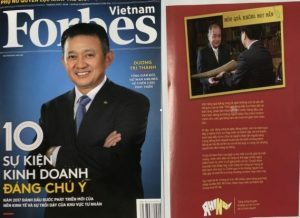 Again, Heritage Magazine (the inflight magazine of Viet Nam Airlines) refused to publish our adverts unless we softened them to a point we felt they would be useless, so again we refused to accept this condition. The adverts changed in January 2018 and an advert, specifically designed for the Lunar New Year, will run until March 2018. 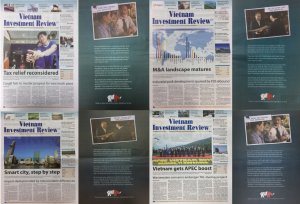 Shown in this update are just some of the adverts published. Not only will this be the longest running campaign to-date, but we are also delighted that we have been able to publish adverts at the recommended frequency to maximise the chance of a behaviour change in the target group. This schedule was based on research done in both anti-tobacco and road safety campaigning. Whilst we are yet to do any formal research of the campaign results with the target groups in Viet Nam, other global conservation organizations, who are monitoring rhino horn customers, believe they are seeing evidence that demand is slowing. Demand does no longer seem to be growing and many respondents to surveys done this year reported decreased interest in consuming rhino horn. Viet Nam is also stepping up its efforts on the law enforcement side, with a new penal code coming into effect on January 1. This new code allows for on-the-spot fines for the possession and dealing in rhino horn, bypassing the need for expensive prosecution through the courts. There has also been good news in the African range countries, with poaching dropping in both Namibia and Zimbabwe. Similarly, there have been a number of significant arrests and successful prosecutions in range countries. We can’t thank the men and women enough who put their own lives on the line to save the animals we care so much about. In challenging these initiatives, global and specialist conservation organisations often mention the difficulties of policing and porous borders etc, but they don’t state the most critical factor, that a farmed product is not seen as a substitute product by the wealthy Vietnamese elite who can afford to buy genuine, wild rhino horn. They pay for rarity and farmed rhino horn (or synthetic rhino horn) has no status to them. They are interested in the wild ‘product’ and so while the demand remains the poaching will continue. We will continue our demand reduction campaigns in Viet Nam next year, planning to launch our next campaign in mid-to-late 2018, depending on donations. At the same time, we hope to utilize the insights from our magnificence research to redirect the desire to consume wildlife products to gaining status through making a contribution instead. My time spent researching the international wildlife trade, in both the demand and range countries, and the global conservation industry has been eye-opening. While I have seen and heard too many tragic wildlife stories, I have also met many skilled and determined individuals whose work brings me a great deal of hope for the natural world. What is becoming more-and-more apparent is that the conversation about wildlife and the natural world is changing; more people know that they need to get active. We can make a difference, if we are more active. What we can’t do is leave everything to global conservation and governments, as they spend too much time in a ’business as usual’ mindset; we have passed the time for BAU. We look forward to sharing our plans and projects in the months and years ahead, and hope that you will continue to see the merit in the approach we are taking. We hope that you will continue to support both our demand reduction campaigns and our new projects, such as the Basic Income linked to Conservation trial we are planning for Zimbabwe for late 2018 or early 2019. Thank you for all of your interest and encouragement.